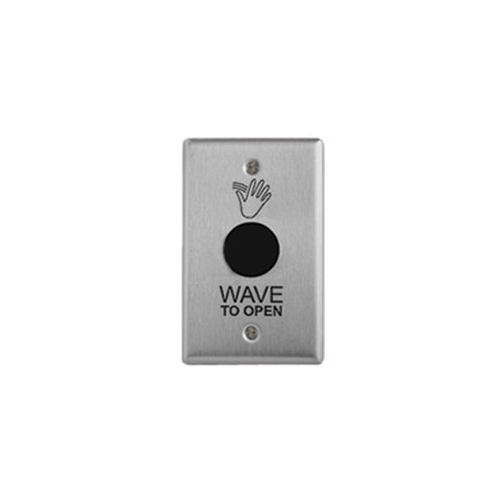 The CM-325 from Camden is a short-range hands-free switch that’s part of the Sure-Wave Hands-Free Switches line. This wired momentary switch comes with two infrared sensors that will detect body and hand motion. It uses Camden’s ‘microburst’ sensing technology to give the most accurate readings. 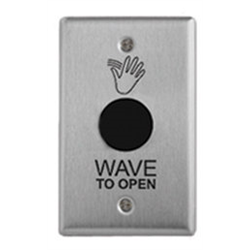 The switch has an adjustable time delay of anywhere between 1 to 5 seconds and a response time of 100 MS.
As a short-range switch, it’s activation range is from 2” to 18” and it can be set to be either a failsafe or fail secure. This is a single relay switch.